Weighs only 18 pounds. Easy to push or transport. The aluminum frame is lightweight and strong with maintenance free composite wheels. 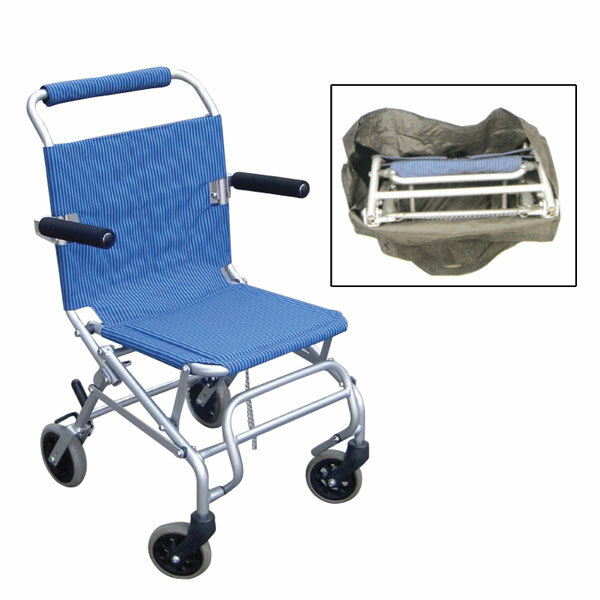 Folds like a conventional folding chair for added convenience and includes carry bag, fold-down footrests, padded flip back armrests, standard rear wheel locks and an attractive frame with durable lightweight nylon upholstery and limited lifetime warranty. 250 pound capacity.